And thoughts result in action. 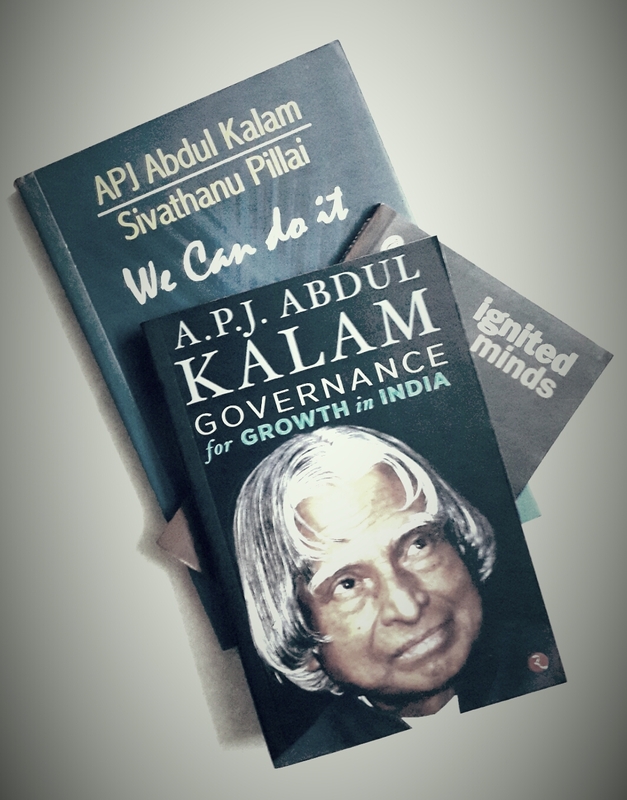 That’s the first book I read written by Sir Avul Pakir Jainulabdeen Abdul Kalam. A book, which is extremely inspiring. A book, which teaches you something new, every time you read it. A book, which is my best choice as a gift to any one dear. There is much written and said about the 11th President of our country India. A few words aren’t enough to describe a legend, who will always be alive in the minds of many – today, tomorrow, in the distant future, and forever. It was my dream to meet Sir APJ Abdul Kalam – a dream which now remains unfulfilled – but there are so many dreams and ways to achieve them in his wise words set down in black and white, of which I can be a part of, and fulfill those dreams envisaged but yet to be accomplished. Ignited Minds: Unleashing the Power within India examines why, given all our skills, resources and talents, we, so obviously capable of being the best, settle so often for the worst. Ignited Minds, at the heart of it, is the belief that the people of a nation have the power, by dint of hard work, to realize their dream of a truly good life. Ignited minds – mine is, and I believe, together We Can Do It!